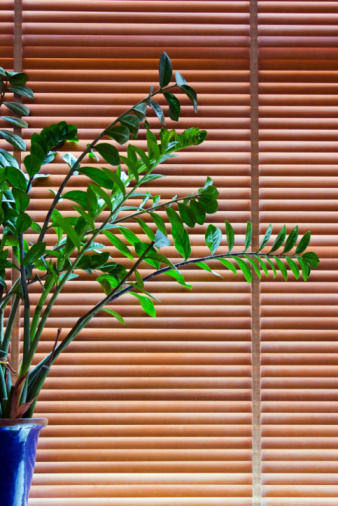 If you’re looking to change the ambiance of any room in your home, then consider wood blinds. With a natural tone and smooth, rich texture, wood blinds bring sophistication with just the right amount of casual comfort. Southern Shutters & Blinds in Georgetown, TX, offers an affordable selection of wood blinds so you can enjoy all of the advantages that these attractive window coverings offer. Wood blinds bring warmth and texture to a room. Whether you choose a product from the Southern Shutters & Blinds private line of 2” or 2½” wood and faux-wood blinds or one of our Hunter Douglas products, you’ll enjoy the way these blinds transform a room. If you select natural wood blinds, then a stain can be applied to the blinds’ surface that will enhance the grain of the wood. And if you choose painted wood blinds, then you’ll have the strength, durability and thickness of wood with a color that complements the décor of your room. Another advantage of wood blinds is the degree of privacy they offer. To an extent, all blinds obscure the view into a room from the outside when the blinds are closed. But because they are made of a solid product and tend to be of thicker construction, wood blinds completely block the exterior view, so you and your family can enjoy the comfort and security of visual privacy. 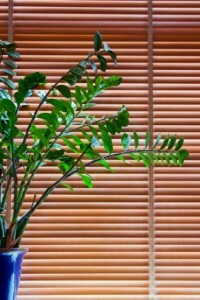 Wood blinds are designed to last with a minimum of care. Maintaining wood blinds is simple; they only require dusting and an occasional cleaning with a soft cloth and a light cleanser. Wood blinds will give you years of enjoyment. If you’d like to learn more about how wood blinds can transform a room in your home, then call Southern Shutters & Blinds today to schedule a FREE In-Home Personal Design Session. Southern Shutters and Blinds proudly serves customers throughout Georgetown and Manor, TX, Austin, San Antonio, Georgetown, Round Rock, Liberty Hill, and the surrounding communities.